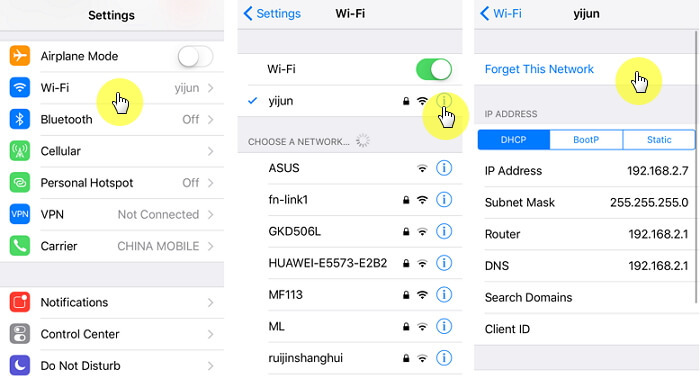 In certain situations like when updating your device to iOS 11.3, 11.2 or 11, backing up data to iCloud or restoring data from iCloud is necessary, then you will need Wi-Fi to remain active and connected even when the iPhone is locked. Yet, there are some users who have reported that Wi-Fi will disconnect when the device is locked or asleep. This means that these functions can be severely impaired. If you are experiencing the problem of Wi-Fi disconnecting after locking or sleeping, the following article offers a wide range of solutions you can try. 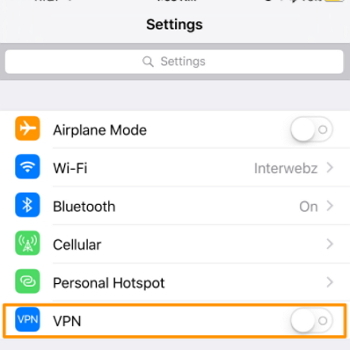 Step 1: Open the settings app on your iPhone and then go to “Wi-Fi”. Step 2: Tap on “Forget this Network” and when a popup appears. Step 3: Now go back to “Settings > WiFi and rejoin the network by entering its password. It is also very likely that the problem could be your Wi-Fi router. If in particular, the Wi-Fi router’s firmware is outdated, you need to update the firmware to fix the problem. The process of updating a router’s firmware will depend on the manufacturer. You can find more information on the manual or the manufacturer’s website. 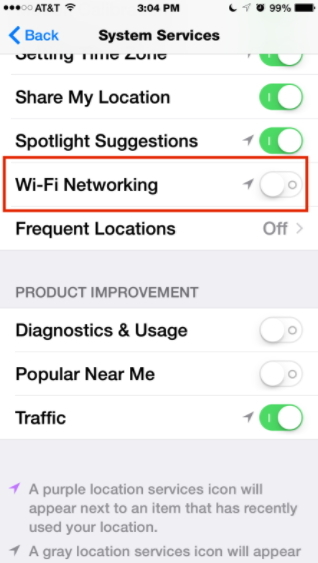 This doesn’t turn off Wi-Fi, it just prevents Wi-Fi networking to be used by Location services. Step 1: Open the Settings and then tap on “Cellular”. 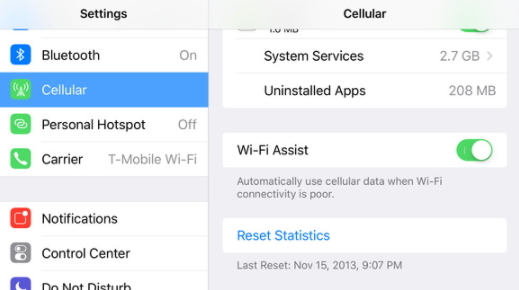 Step 2: Scroll down to find “Wi-Fi Assist” and if it’s turned on, toggle the switch to turn it off. If none of the above solutions work, you may need to restore the device and reset it as new. Doing this will eliminate some of the settings that may be causing the issue. The go-to solution for restoring a device and setting it up as new is iCloud or iTunes. The problem is that these two solutions can result in the loss of existing data on your device. 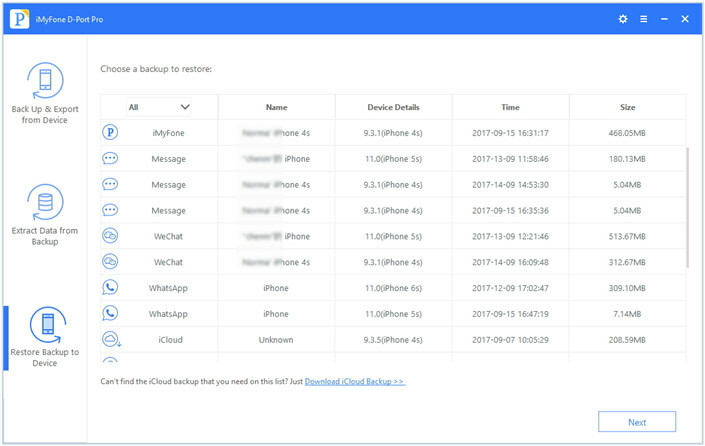 If you don’t want to lose any of the data on your device, you may want to consider using iMyFone D-Port Pro Backup & Restore Tool to restore the device. This backup and restore tool is has a lot of features that make it a better choice as compares to iTunes and iCloud. It can be used to create a full backup or a partial backup of your data in a single-click. Restoring data back to the device is just as easy and will often not affect any of the data on your device. It can also be very useful when you want to export data from your iPhone to the computer.